Join the Summer Fun in Douglasville – August 1st, on O’Neal Plaza for Friday Night Flicks! 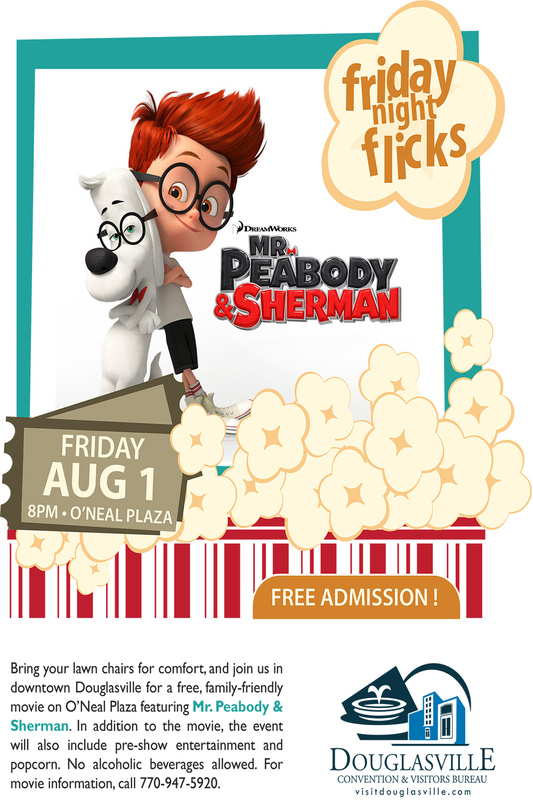 Bring the whole family out to enjoy watching Mr. Peabody & Sherman! The movie will begin at dark, but come early! Starting at 7pm enjoy pre-movie entertainment, including concessions, music, games, dancing and more! So bring your lawn chair or blanket, and enjoy an evening of entertainment. For questions or more information, please call the Douglasville Welcome Center, 770.947.5920!